This entry was posted on December 5, 2018 by MageBees. The retail industry has evolved since sellers sold their goods in crowded, dusty bazaars. With all the world’s best retailers jumping on the internet bandwagon, the entire market has undergone a revolution and buyers are enjoying a comfortable shopping experience. However, one thing that buyers often miss is haggling for their goods and enjoying the satisfaction of finding the best products at reduced prices. Customers miss the adrenaline rush of negotiating with the sellers. Negotiating, bargaining or haggling: an essential sales technique seems to be losing its importance in the world of online shopping. If your customers are looking for an avenue to negotiate prices, quantity, quality and features of your products, you need to provide them with the option of contacting you. Here’s how you can give your customers what they want; improve their shopping experience and increase your sales in the process. Your website doesn’t need to undergo a massive makeover in order to provide your customers with a negotiation option. Nor do you require them to call you for negotiation. With the extension, your customers can select products and request a quote from you. Take control of negotiation and deliver better service with a simple Magento 2 plugin. Once you receive the quote request, you can discuss it with the customer and send him an estimate. He can accept or reject it. The extension even allows you to edit custom quotations/estimates, so that they suit your goals and the needs of your customers. 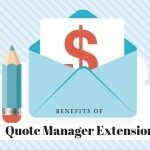 What are the Benefits of a Custom Quote Extension? Do not think that negotiating with customers will eat up your time and deliver no results. Here are many benefits of allowing your customers to bargain with the help of a quote management plugin. You may argue that there is no need of negotiation in the world of online shopping where discounts and deals are rampant. But, with growing competition, attracting new visitors to your Magento store is difficult. And, converting visitors into actual buyers is even more difficult. If you have tried every trick in the book and offered discounts without yielding any results, it is best to personalize your service. And, this is where customer negotiation comes in the picture. The novelty of seeking quotes for their chosen products will definitely attract customers and create a perception of getting the best deal. So, if you want a unique way of seeking more sales, this is an opportunity for you. “Talk to us! We are listening! In today’s world of super competitive business, you need to differentiate yourself from other sellers. When products are almost similar, you can grab the market share with your services. When businesses give customers a chance to negotiate and provide them with different quotes, it tells them that their voice is heard. It allows your customers to talk more freely and more often, thus creating a sense of loyalty. And, we all know how important it is for business to have a large base of loyal customers. Negotiation allows you to discuss buyer requirements beforehand. And, it gives you a chance to satisfy those requirements in a better way. It adds a human touch to the process and elevates the customer experience. Online retailers avoid negotiations especially those related to price because they believe that it will hurt their position in the market. Everyone will start treating their products to be of inferior quality and they won’t be able to generate the desired level of revenue. But, with the quotation management system, you do not have to provide low prices to all customers. You can enjoy total discretion. If a customer is not convinced by the price and requests a quote, you can negotiate with him and offer reduced prices by sending multiple quotes. Providing special bulk order discounts for attracting new vendors is also an option with you. By talking discretely to potential customers via email, you will be able to protect your pricing strategy and still improve the revenue numbers. The quotation manager plugin is often called quote 2 order extension because it allows you to convert quote requests into paid orders. With the Magento 2 extension, you do not have to rely on Contact Us form for customer negotiations. 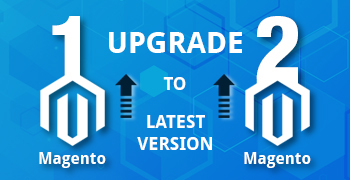 You can handle quotation management with Magento back-end. It will show comprehensive information related to customer quote requests along with detailed communication/message history between a customer and admin. As an admin, you will have the rights to change the quote status and also attach file to the quote. You will also receive an email notification whenever a customer sends new quote request or takes any action on a proposal. 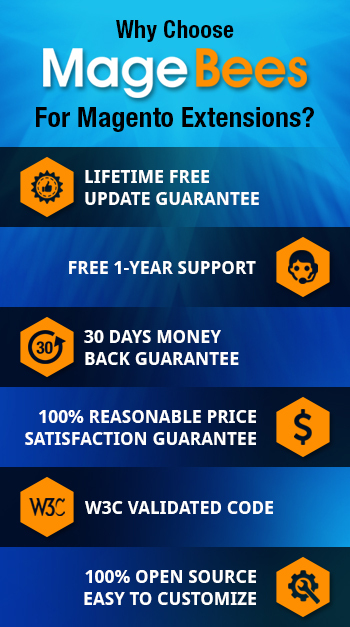 A quality extension is not only useful for admin but also for customers. A customer can log into My Account Section and learn everything about the status of his quote requests. To ensure easy communication, all quotes will have precise status titles such as New Requested Quote, Proposal Sent, Proposal Accepted, etc. Give your Business the Push it needs! By customizing quotes and using a quote management extension, you can create a popular and apt pricing strategy for your customers. Also, you will be able to decipher how much money your customers can pay. It will help you win sales that you would have lost. So, do not consider the negotiation technique as a waste of your time and energy. Instead, focus on customer relations and build a loyal customer base. Whether you are looking to create a powerful website with custom quote extension or abandoned cart module, we have you covered! 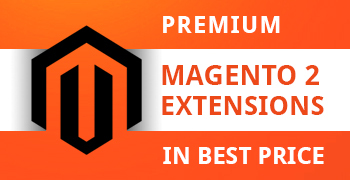 MageBees.com offers the best selection of Magento 2 extensions for your e-commerce store. Get in touch today.